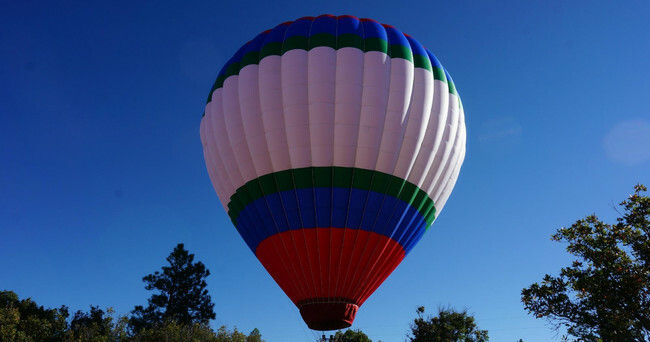 What to expect: you'll be assisting in inflating and deflating the balloon (unless you choose not to), walking over uneven terrain and climbing in and out of the basket. Temperatures will change throughout the experience as well. Dress comfortably for the season and in layers Wear sturdy shoes (no sandals.) In the winter, the burner will help keep you warm and we recommend snow boots. Bring Sunglasses, hats and consider wearing sunscreen. From Hwy. 160 (San Juan Street) in Pagosa Springs, turn north on Pinon Causeway, then left on Village Drive to 528 Village Dr. Written Cancellation Policy | Full refund with 24 hours notice of cancellation. No refunds if cancelled within 24 hours or for "no shows." Customers will receive a full refund in case of pilot's cancellation due to weather or other unforeseen circumstances. Written Deposit Policy | Must be paid in full at time of reservation.